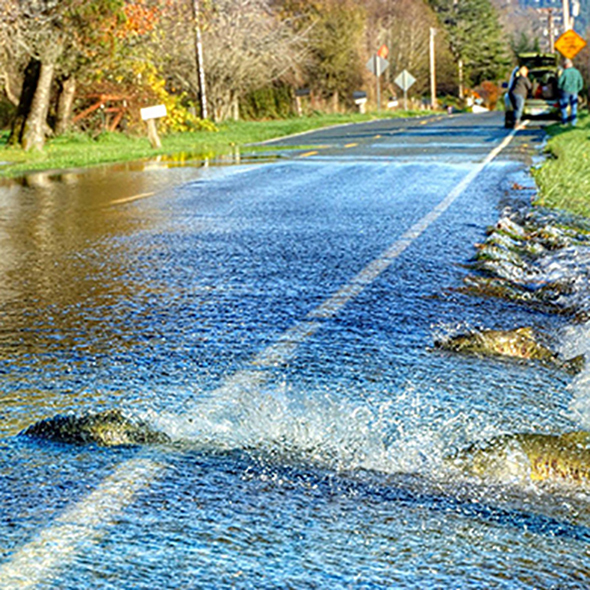 Twice daily the Salish tides sweep through the inlets and bays of South Puget Sound and Hood Canal. Whitecaps march across the fjord as whales, seals, shorebirds, and otters chase the runs of salmon returning from a long summer journey. Winter is here and it is the best time to head to the fjord. Summer crowds have abandoned bare feet and beach fires for soccer schedules and pumpkin lattes. The lingering August smoke is replaced with a sparkling freshness that is matched in brilliance only by the early snow on the Olympic Mountains. If you are lucky, you will find yourself in a sturdy cabin with a warm fire and a court side seat on nature – wind buffeting fragrant cedar bows and rain drumming a mesmerizing jig to the manic dance of the waves. Mornings bring air crisp with the scent of sea and forest. There isn’t a dull moment in this lush wonderland packed with wildly varied flora and fauna and bursting at the seams with adventure. Just a quick hop from Seattle by way of the Bremerton ferry and under an hour’s drive from Olympia, and there’s no shortage of holiday magic to get in on this year. Fjord spirit abounds from the solitude of a beach cabin to the festivities of Holiday Magic – a world away out the back door. Along with the leaves, rates on accommodations have fallen: a Belfair waterfront on stilts rents for as low as $119/night; near Hoodsport, a updated house on a pebbly cove with hot tub, sauna and even a rowboat lets for $195/night; or, with a majestic view of the Olympics, the Union City Beach House rents for just $129/night and is minutes from Alderbrook Resort and Spa. Also in Union is the woodland cabin retreat, Robin Hood Village Resort. A cluster of quaint cabins in the woods, the Robin Hood restaurant serves up great meals as well as live music on the weekends. 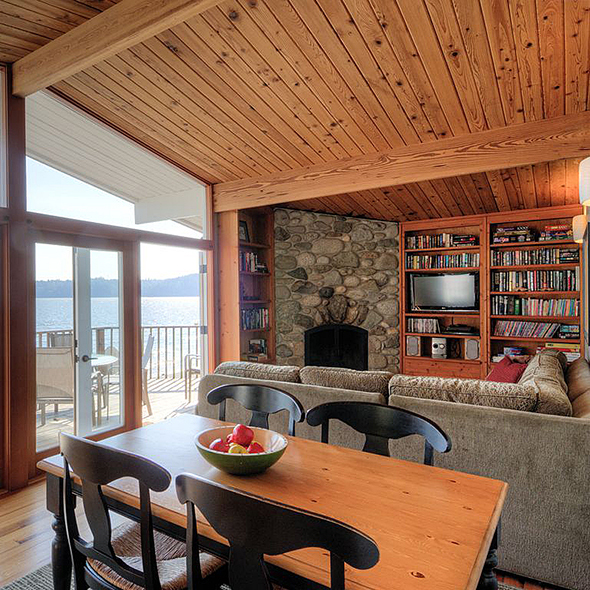 CLICK HERE for a complete list of lodging options when you Explore Hood Canal. 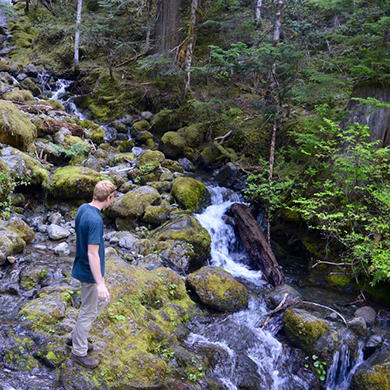 Forest streams and waterfalls make great day trips from your base on Hood Canal. Yule love our #Fjord Spirit! 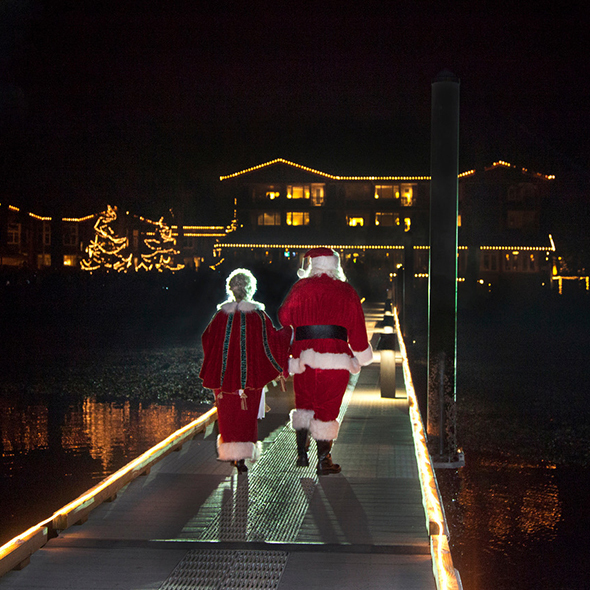 If it’s “yule” you are searching for in your winter tides, Alderbrook Resort and Spa has you covered. 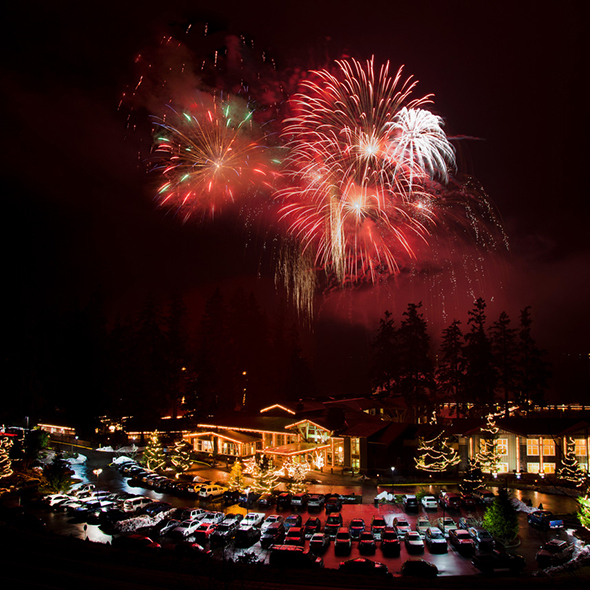 Fjord spirit gets into full swing Thanksgiving weekend with their annual tree lighting ceremony that heralds the unofficial beginning of the season. Mr. and Mrs. Claus arrive by boat amidst bonfires, carols, and glowing children. The finale includes a spectacular fireworks display. The resort has special holiday events all season including Cocoa Cruises and pictures with Santa. Mid-week rates begin at $174/night. If you want to bring the whole family, reserve one of the waterfront two-bedroom cabins, but don’t wait– they fill up fast. Santa and Mrs. Claus arrive via the MV Lady Alderbrook to launch the Tree Lighting Festivities. 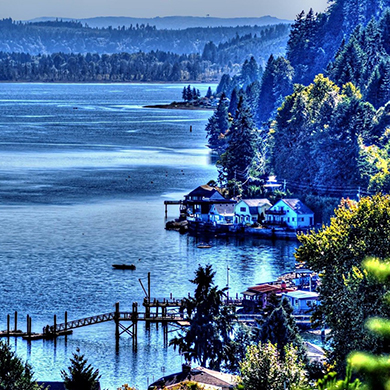 Photo: Alderbrook Resort & Spa. The Festival continues in the town of Belfair at the tip of the fjord. In December the town comes together to celebrate local military heroes with Santa appearances and a Christmas Parade. In Hoodsport the Hardware Distillery is partnering with local chefs in December to host Holiday Distillery Dinners and caroling events. On both Hood Canal and South Puget Sound plan to partake in a lighted boat parade. December 14 -15 the Shelton Yacht Club organizes their tour down Hammersley Inlet; on December 15 the Lady Alderbrook will lead a lighted parade from Union. On board the Great Bend Choir will be performing Christmas classics that will be transmitted by FM receiver to organized events on shore. 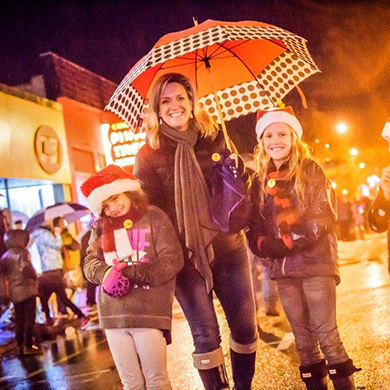 Shelton’s Holiday Parade is a family affair. Photo Cooper Studios. 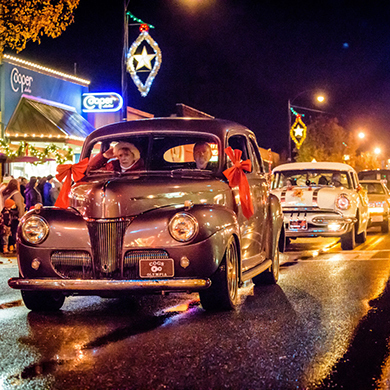 Head to Shelton on December 7-8 for Holiday Magic. This annual event, hosted by the Downtown Merchants and the Kristmas Town Kiwanis, kicks off Friday at 6 PM with the tree lighting and carol singing. 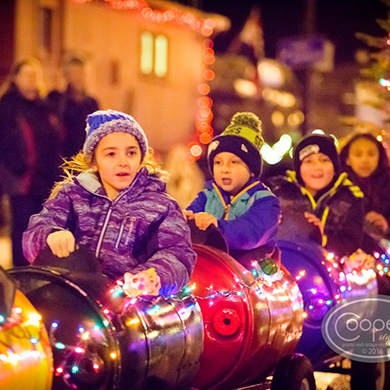 When Santa arrives the block party includes marshmallow roasting bonfires on Railroad Avenue, train rides, shopping, and more caroling events! 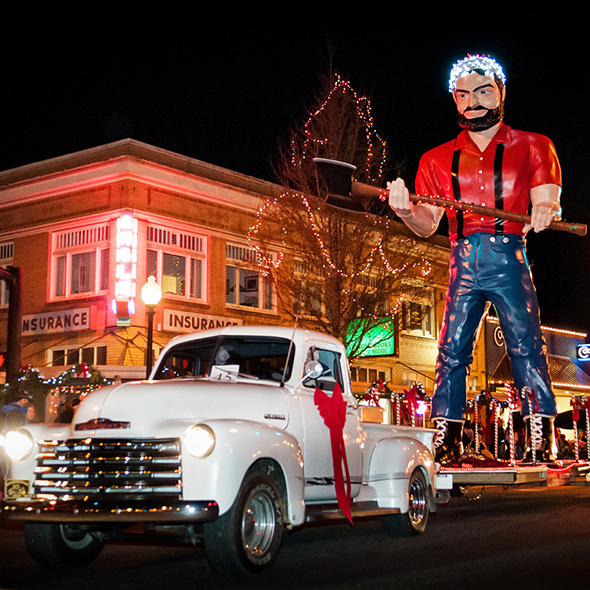 Saturday all eyes are on the Santa Claus Parade beginning at 5 PM. 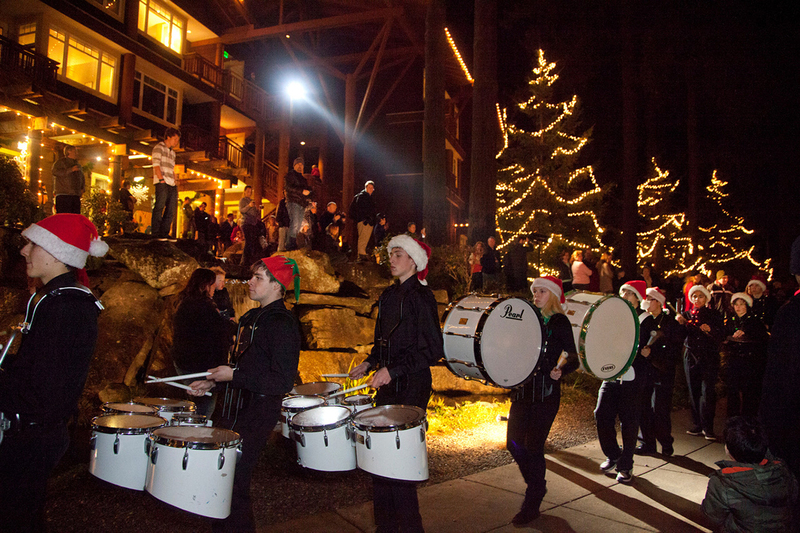 Custom floats, marching bands, antique cars, and of course, the Claus family, make for a great holiday celebration. 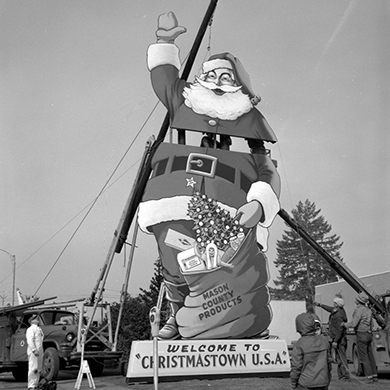 This 32” Santa Claus greeted 1962 World Fair visitors to Shelton. The Santa was removed in 1998. The current Shelton Santa is slated for revival in the 2018 Holiday season. 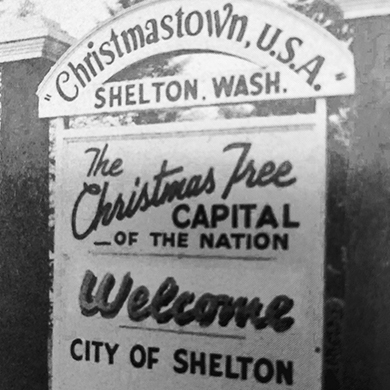 A Santa pin commemorates the welcoming spirit of Christmastown U.S.A.
Christmas has always been important to the timber town of Shelton. 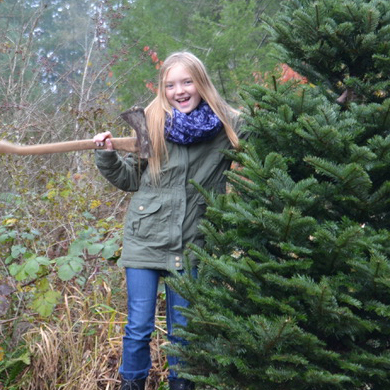 Located less than ten miles from Hood Canal on Hammersley Inlet, Shelton is serious about their Christmas tree roots. In March of 1962, to celebrate the Seattle World Fair, they commissioned talented sign artist Clarence Beauchamp to build a three story Santa Claus to wave at visitors all year long. Santa stood in downtown Shelton for 30 years until he was retired, paint peeling, to Hunter’s Farms in Union. 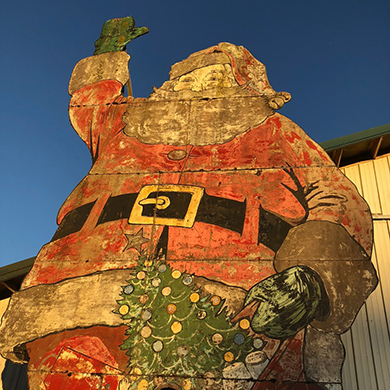 As a part of this year’s Festival the Fjord, a 32’ Santa will once again be smiling down on Shelton for the Holiday season, complete with a door in the doll’s face that children can peer through to replace their face in Santa’s toy bag. The 2018 Christmastown Santa project is supported by Kristmas Town Kiwanis and Explore Hood Canal. CLICK HERE for a list of 2018 Festival of the Fjord events. The glacial till ground made the terrain perfect for growing “bushy” holiday trees. All students in Grade Four can harvest a tree from the Olympic National Forest for FREE! 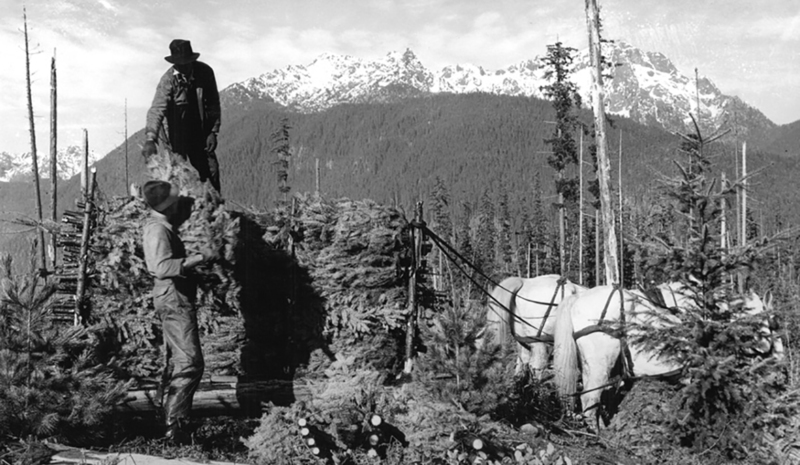 In the wake of Hood Canal’s timber boom it was discovered that the glacial till left after the fjord was carved was ideal ground for growing Douglas fir Christmas trees. During the 1950s and 1960s, the area annually harvested several million, earning it the title of “Christmas Tree Capital of the Nation.” Every available hand was cutting trees and filling rail cars for worldwide deliveries. Local U-cut and pre-cut farms around Hood Canal continue to “Keep it Real” by producing some of the finest Nobles, Grands, Frasers as well as Douglas Firs. Northwest growers claim that real trees help the environment and are recyclable and biodegradable while artificial trees will eventually end in a landfill. Annually many families head to local farms to select their favorite and enjoy holiday activities like hayrides, petting zoos and visits with Santa. There’s hardly anything that’s more quintessentially Christmas than decorating a handpicked Pacific Northwest Christmas tree and gathering your family around a tree that you brought home together from Hood Canal. Click here for a list of local farms. Dreaming of heading to the forest and cutting your own? It’s time to begin a new family tradition! 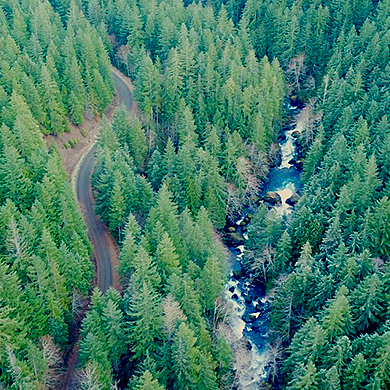 Hood Canal trees are so fantastic that in 2006 a 45 year old Fraser fir was selected from the Olympic National Forest to be the Capitol Christmas Tree and the White House has selected no less than two trees from the area for the presidential families. For just the cost of a $5 tree-cutting permit anyone can head out on the hunt. There are plenty to choose from and the selective picking allows other trees in the forest room for healthy growth. Permits for cutting Christmas trees in the Olympic National Forest are available in mid-November — and fourth-graders can get them free. As the snow cover creeps lower on the Olympics and the strings of lights start to come out around the neighborhood, sneak away with your family, your friends, or your loves to Hood Canal. Fjord spirit abounds from the solitude of a beach cabin to the festivities of Holiday Magic—a world away out the back door.